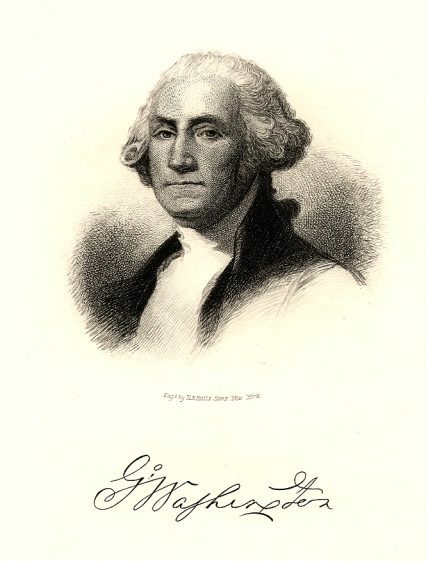 Portrait of George Washington with facsimile signature below. 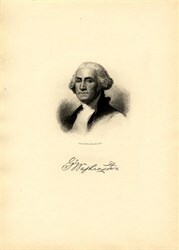 This historic document was intaglio printed on heavy paper in the 1920's and measures 8" x 11". The bottom reads "Eng. by H.B. Hall's Sons, New York."